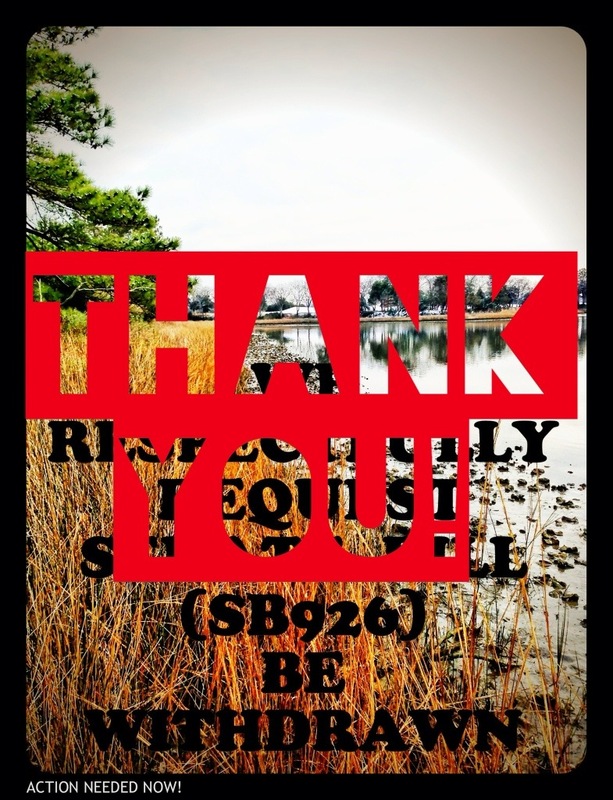 Commonwealth of VA Senate Bill 926 SHUTDOWN! Senator McWaters has just informed me at 9:28 pm TONIGHT that SB926 will be dropped tomorrow due to the opposition voiced by so many of our civic organizations. He said the bill needs more study and was not ready for prime time. YES!!!!!!! The voice of the citizens CAN be heard when we have dedicated people to group together, inform our members, and collectively express our voice. I thank ALL of you who have voiced your concerns during this intense negotiating period. WELL DONE! And to Senator McWaters and his very hard working staff, WE THANK YOU!!!!! This entry was posted in City Government, Communications, Current Concerns, Environment. Bookmark the permalink.